Mary Louise Bove, ND obtained her Doctorate of Naturopathic Medicine and Midwifery Certification from Bastyr University in Seattle, Washington. She also received a Diploma of Phytotherapy/Herbal Medicine at the School of Phytotherapy in Great Britain and holds a membership in the National Institute of Medical Herbalists in London. Mary served as a full-time faculty member and Chair of Botanical Medicine Department from 1990-1993 at Bastyr University. She lectures throughout North America in the fields of botanical medicine, phytotherapy and naturopathic obstetrics and is the author of An Encyclopedia of Natural Healing for Children and Infants. Mary is currently medical educator at Gaia Herbs, Inc.
Speaker: Mary Bove, ND. Bitter herbs and the bitter action are central to herbal medicine and t..
Speaker: Mary Bove, ND. Nerve damage in advanced diabetes is a stubborn problem and one with fe..
Speaker: Mary Bove. COPD is actually a big issue in women’s health and rarely talked about. Thi..
Speaker: Mary Bove. Medicinal uses of the classic herbs in the Mint/Lamiaceae family are descri..
Speaker: Mary Bove. A review of the various mechanisms behind the physiology of a headach..
Speaker: Mary Bove. Persistent constipation can impact a child’s physical and psychosocial well..
Speaker: Mary Bove. 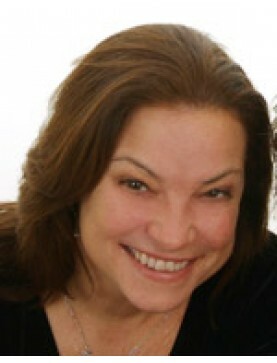 A focus on adrenal health through restoration and enhancement of the H..
Speaker: Mary Bove. Aromatic plants offer many possibilities as antioxidants, antimicrobials, nervin..
Speaker: Mary Bove. Botanicals interact with the human immune system in a variety of ways, eli..
Speaker: Mary Bove. Continued from Part 1. Botanical therapies for resetting the circadian cycle are..
Speaker: Mary Bove. Part 1 focuses on health effects of a circadian cycle out of balance. A review o..
Speaker: Mary Bove. Aromatherapy is a safe and effective therapeutic option for infants and chi..
Speaker: Mary Bove. The importance of a healthy microbiome is far-reaching, impacting developme..
Speaker: Mary Bove. Compliance can be a major factor in the outcome of herbal therapies. I..
Speaker: Mary Bove. The simple act of making an herb tea is at the heart of the healing power o..
Speaker: Mary Bove. Cytokines are proteins acting as neuro-immune modulators. Specific cytokine..
Speaker: Mary Bove. Early childhood caries is the most common chronic childhood diseases and on..
Speaker: Mary Bove. Continued from Part 1. Herbal butters, vinegars, oils, syrups, and infusions can..
Speaker: Mary Bove. Herbal butters, vinegars, oils, syrups, and infusions can bring a valuable herba..
Speaker: Mary Bove. Disruption of healthy sleep patterns can occur for many reasons, including curre..
Speaker: Mary Bove. Continued from Part 1 Catalog number 14ME27. ..
Speaker: Mary Bove. This is a hands-on class in the use of common kitchen herbs, spices, fruits and ..
Speaker: Mary Bove. Iron deficiency anemia is a reality, considering the standard American diet..
Speaker: Mary Bove. Therapeutic use of herbal diuretics ranges from management of blood pressure or ..
Speaker: Mary Bove. Acute mountain sickness (AMS) includes headache, fatigue, dizziness, insomnia, n..
Speaker: Mary Bove. Discusses different kinds of dermatitis: atopic, allergic/contact, seborrhe..
Speaker: Mary Bove. Caring for the Adolescent Patient..
Speaker: Mary Bove. Continued from Part 1 catalog number 12MEAA. Please see description under that r..
Speaker: Mary Bove. Many digestive disorders are directly affected by our moods, nervous disposition..
Speaker: Mary Bove. The application of herbs in supporting healthy breastfeeding and lactation: how ..
Speaker: Mary Bove. Modern research supports traditional herbs used in birthing and also adds new pl..
Speaker: Mary Bove. Causes of atopic dermatitis are addressed along with topical and systemic h..
Speaker: Mary Bove. Pediatric Eyes, Ears, Nose and Throat Conditions..
Speaker: Mary Bove. Chronic Vulvovaginitis..
Speaker: Mary Bove. A look at the role botanical medicines play in supporting healthy digestive..
Speaker: Mary Bove. Discussion includes a description of the way adaptogens work. Discusses th..
Speaker: Mary Bove. Discusses the application of these herbs in supporting healthy digestive functio..
Speaker: Mary Bove. Discusses the nutritional and therapeutic benefits of sea buckthorn, acai b..
Speaker: Mary Bove. Case histories demonstrate the application of saliva adrenal hormone profil..
Speaker: Mary Bove. Compare and contrast the actions of demulcent and astringent herbs, including Al..
Speaker: Mary Bove. Presents a child's respiratory materia medica, which covers relevant research, a..
Speaker: Mary Bove. Herbal therapies to supplement the usual recommendations of lifestyle, exercise ..
Speaker: Mary Bove. This class of herbal medicines has wide therapeutic use in clinical practice. Cl..
Speaker: Mary Bove. In light of recent state mandates for HPV vaccine in preteen girls, this lecture..
Speaker: Mary Bove. Thyroid physiology, pathology and thyroid hormone metabolism are all an int..
Speaker: Mary Bove. The role of herbal medicine in supporting the immune system, digestion and ..
Speaker: Mary Bove. Discussion includes therapies for childhood obesity, hypoglycemia, hypergyc..
Speaker: Mary Bove. Topics include environmental toxins, endocrine insult, diet and emotional i..
Speaker: Mary Bove. Botanical therapies for infections of the ear, the upper respiratory and ur..
Speaker: Mary Bove. Osteopenia is a changeable bone condition. Natural therapies applied in tim..
Speaker: Mary Bove.Mary Bove. Herbal dosage computation for children is important- formulas are give..
Speaker: Mary Bove. This lecture begins with a description of the common causes of infertility ..
Speaker: Mary Bove. Create a balanced, effective formula by setting long and short-term goals f..
Panelists: Roy Upton, Donald Yance and Mary Bove, ND. The effects on the physiology of starvat..
Speaker: Mary Bove. Describes lab tests to determine potential physiological factors and examin..
Panelists: Mary Bove, Bill Mitchell and Ryan Drum. Favorite techniques from the old tradi..
Speaker: Mary Bove. Natural therapies for female reproductive complaints including PMS and infe..
Speaker: Mary Bove. The philosophy, therapeutics and herbal formulas of Samuel Thomson. I..
Speaker: Mary Bove. Assessment of adrenal function through saliva testing and common signs and ..
Speaker: Mary Bove. The therapeutic usefulness of fever is addressed, along with management goa..